Teaching diving is a great job and challenge and having office underwater always has been our dream. We appreciate it, teaching our passion with passion and patience, sharing something we love and respect. Learning how to dive gives you an opportunity to discover the underwater world and yourself from a very different side. It’s much more beautiful that you ever expected! Whatever your motivation is to take a course for one you can be sure – this experience will make your life truly unforgettable! We do not consider our students just as customers but we take them in as a part of a team, involving them into all the aspects of diving, mentoring them not only within the course but in their further diving practice. Each of our courses is adapted individually to the person in order to provide maximum satisfaction and best results. pen water diver course is the most popular dive program in the world! It is also the first step you need to take to safely enjoy being underwater. This course is comprised of five academic training sessions, five confined water sessions conducted in Cenote Manatee where you learn basic skills then four open water dives (two cenote and if weather permits two ocean dives, all no overhead environment. At the end of this course you will be familiar with the operation of equipment and trained to plan and execute your own dives safely. We put special stress on buoyancy control skills so that after the course you will have enough confidence and practice to dive locally in cenotes. This course certifies you to dive worldwide and enables you to independently (with a buddy) plan and dive to a maximum of 18 meters/ 60 feet. 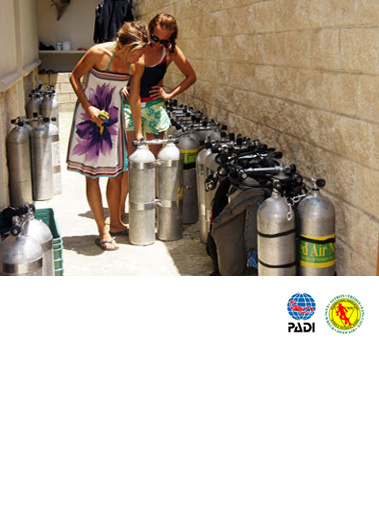 This course can be conducted in three to four days depending on your needs and requires no previous diving experience. Padi offers a variety of home-study materials for the open water diver course including e-learning so you can study academics at home before you arrive. We teach in English, Spanish and Polish. mportant! We are proud to provide vip quality courses, mostly with ratio 1:1 (instructor and student only) and we spend as much time as necessary to make you into a good, responsible diver. dvanced open water diver course helps you increase your confidence and build your scuba skills so you can become more comfortable underwater. You don’t have to be an “advanced” diver to take it but from our experience you will benefit from it more if you have some dives under your belt already. Its very personalized and very from student to student, we choose different types of adventure dives to complete the program according to your needs and interest. be certified as open water diver from any training organization. This course certifies you to dive worldwide and enables you to independently (with a buddy) plan and make dives to a maximum of 30 meters/100 feet. The course requires 5 dives – we offer 6 so you can enjoy cavern diving in the end. Can be completed in three days depending on your needs. Two dives are mandatory: underwater navigation and the deep dive with an immersion depth of max 30 meters/100 feet in the amazing Cenote Angelita where you will experience both deep diving sensation and unreal surrealistic landscape with the mystical layer of hydrogen sulfide which separates the salt and fresh water, appearing as a dense magic cloud. It’s an unforgettable experience and it’s a part of your advanced training! And 3 dives of your choice: enriched air nitrox, multilevel, night, peak performance buoyancy, search and recovery or photography. pecial advanced package includes enriched air Nitrox training and advanced open water course together. All dives are conducted on enriched air and the training takes 3 or 4 days, resulting with 2 certification advanced diver and enriched air diver. 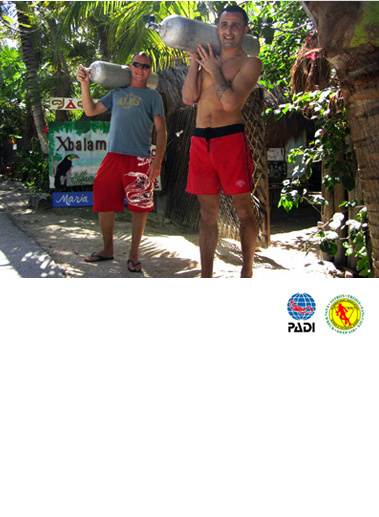 The program is prepared to give you the good knowledge and chance to learn and practice new dive skills. We have chosen the most challenging adventure dives to ensure you learn a lot and really feel that you are taking an advance diving course. The first day we do PPB(peak performance buoyancy) and Navigation dive. We teach at the beginning some maybe new propulsion techniques where you will learn or master frog kick and other kick styles, you learn how to adjust your weight and achieve a proper trim and descent buoyancy. Underwater navigation dive includes using some natural orientation ability to conduct a dive without a dive leader as well as using compass and reels. We offer multilevel diving and provide dive computers on every single dive so you can learn better how to plan your dive. Our deep dive training is a no-decompression dive but we include some basic decompression knowledge and we review usage dive tables and teach you how to use and plan dives with the dive computer. On our search & recovery dive we teach how to run the reel, search for a missing object and recovery it using a lift bag. After completing this course you will really feel like an advanced diver. We emphasizes the enriched air training, teach you academics in a classroom and literally let you dive on Nitrox during the whole course. The EANitrox certification allows you to dive on enriched air up to 40% of oxygen worldwide. 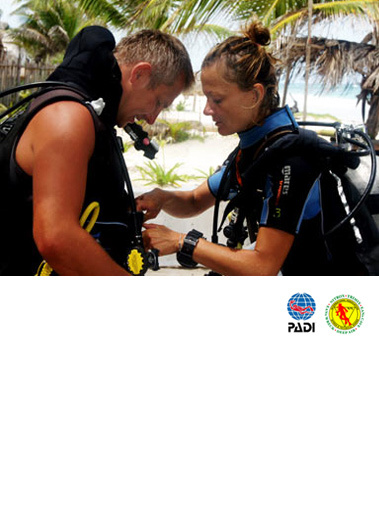 escue diver course philosophy focuses on challenging yourself and mastering skills. It’s both demanding and rewarding, and at the end, you’ll say it’s the best course you’ve ever taken. Building upon what you’ve already learned, this course expands on what you know about how to prevent problems and how to manage them if they occur. There is no single “right” way to perform a rescue, but rather there are many variables and resources that rescuers consider and draw upon, depending upon the scenario. That’s how we teach. The course takes a flexible, conceptual approach to rescue and we ensure you will find it challenging. We try to make the course scenarios as realistic as possible, within reasonable logistical and safety requirements. A combination of classroom, confined and open water sessions will teach you the theory and practical knowledge necessary to deal with any diving emergency both above and under the water. Focusing on prevention, response and correct accident management, this course widens your scope, making it an enjoyable way to build your confidence and a more safe and valuable diving companion. The course can be completed in three to four days, depending on your needs. 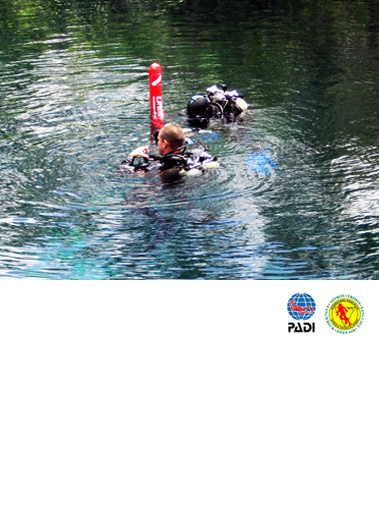 Throughout this time you complete three segments: confined water dives, knowledge development and open water dives. Each plays an important role in meeting the performance objectives you need to qualify as a rescue diver. A final exam is needed before certification. The PADI Rescue Diver course is the newest addition to the PADI eLearning® family. Rescue Diver Online gets you started right away and lets you learn at your own pace and in your own time. ivemaster is a professional level course. The training develops your leadership abilities, qualifying you to supervise dive activities and assist instructors. Basically you are going to be a dive leader and we make sure that in the end of this course you will be a professional both in knowledge and skills to be a spotless dive leader. It’s also the first step in making scuba diving a a career. It opens many life opportunities and we especially enjoy training future dive professionals. We take the training very seriously obviously with a serious amount of fun thrown in as well. We have over 10 years of experience in divemaster training in this area. Our training includes Enriched Air Nitrox course and also can be combined with cavern and cave courses. You must have proof that you have completed at least 40 dives (60 before being able to complete the Divemaster course with experience in deep dives, night dives and underwater navigation). You must have completed an Emergency First Response (EFR) Primary and Secondary Care course (or other sanctioned first aid and CPR course) within the past 24 months. Our divemaster training schedule is individually adapted to every student needs and experience and if you are interested in completing this program with us do not feel shy to contact us and ask more questions. 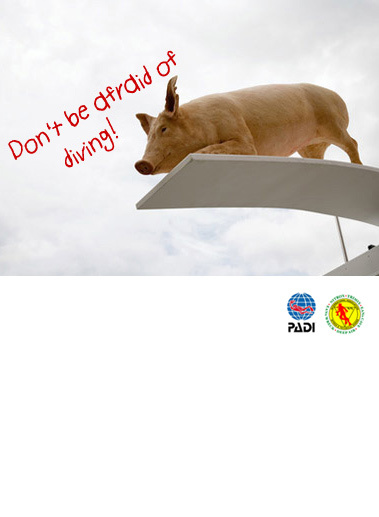 pecialty courses are for those who want to widen their diving horizons. These programs have two objectives: to prepare you for new diving situations and improve your technical level. The specialty courses are designed to allow you to enjoy every new situation of diving. Because of our location and interest we teach following specialties: Cavern Diver, Deep Diver, Underwater Photography, Peak Performance Buoyancy, Wreck Diver, Enriched Air Diver, Night Diver and Drift Diver. All our courses, depending on the standards requirements on each organization, includes a minimum of two dives and knowledge development. More information is available upon request. mergency First Response course includes primary care (CPR) and secondary care (first aid). 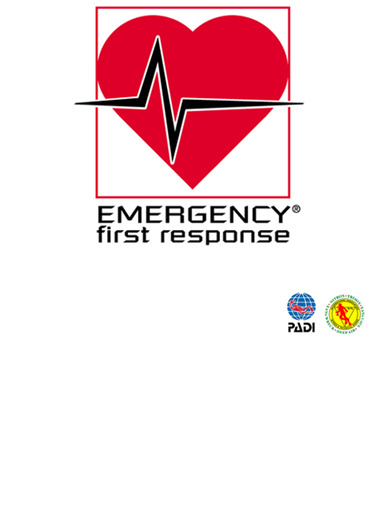 As one of the foremost international CPR and first aid training companies, Emergency First Response gives you the confidence to respond to medical emergencies – not just in the diving world, but in your everyday world with your family, friends, neighbors and coworkers too. Unfortunately, far too many divers are insufficiently prepared to deal with diver injuries. We advise to take this course no matter of your diving experience level and you need to be certified in first aid/CPR before starting rescue or divemaster course. 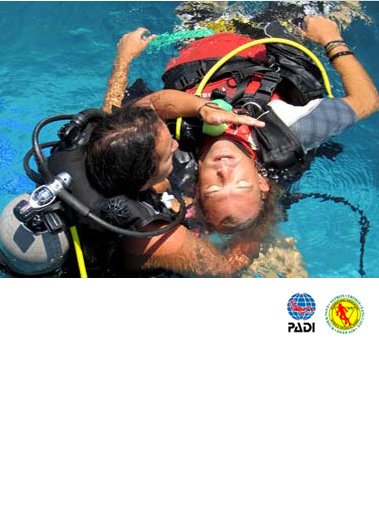 The diving buddy is generally the first responder to an injured diver. Proper action of first aid can save a life or reduce the possibility of a life-long disability. Always remember that adequate care provided is better than perfect care withheld. itrox course is designed to teach you the advantages and disadvantages to using a blend of air with a greater amount of oxygen. This will allow you to have longer bottom times, shorter surface intervals, and less fatigue at the end of multiple dive days.